Many times, we face the problem of not having any vegetable in the house. 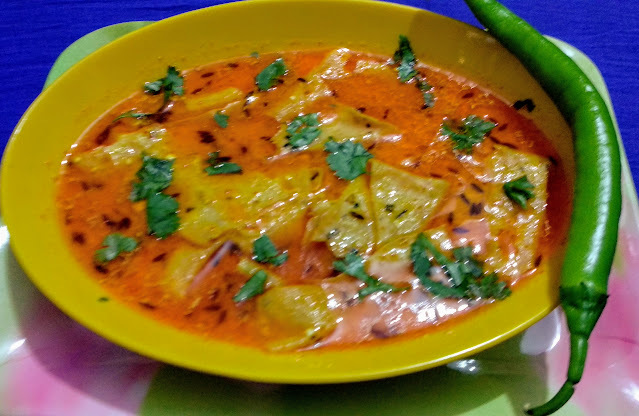 We can overcome this problem by preparing Rajasthani Papad ki sabzi, which is very easy, quick and tasty recipe. As the name suggests, this is a Rajasthani dish. You need any Papad made from moong dal. Udad dal Papad won t taste good, as it sticks in the teeth. 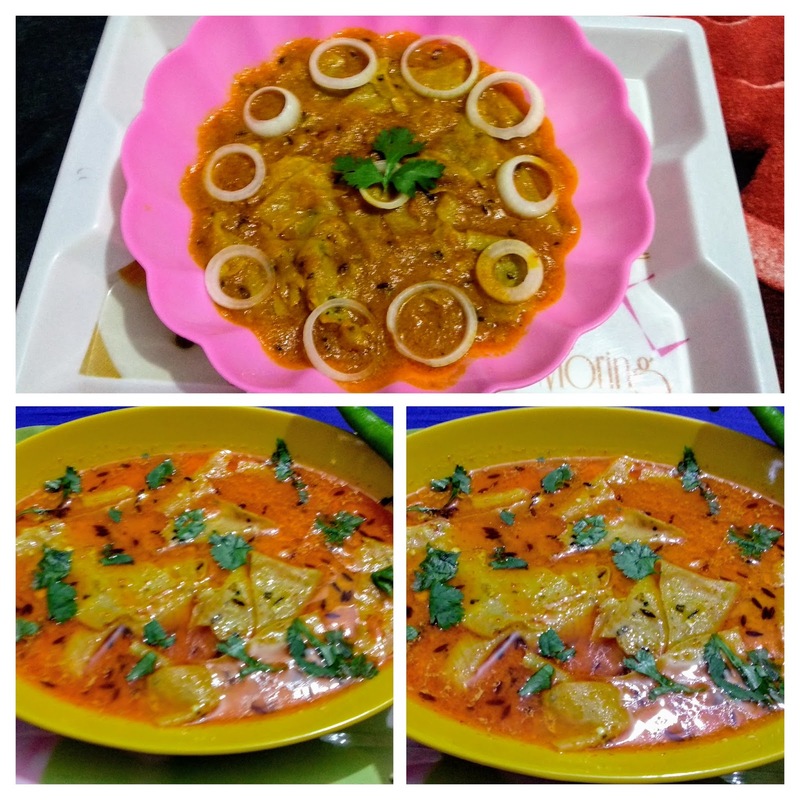 I am sharing two recipes of Papad ki sabzi, one in onion tomato gravy and other in curd gravy, both are yummy. People who don t eat onions can go for curd gravy sabzi. Recipe with onion and tomato : Remove the skin of onions, cut them into 4 pieces and boil them for 2-3 minutes, add whole tomato and boil for 2 more minutes. Remove the skin of tomato and hard part if any. Blend the onions and tomato to a smooth puree and keep aside. Make small pieces of Papad. Add cumin seeds, when they crackle, add Asafoetida and then onion, tomato puree and cook on medium heat stirring till it leaves oil. Add all the spices along with salt and sauté for two minutes ( there is already salt in Papad, so add salt accordingly ). Add 1 cup warm water and cook till the gravy becomes thick, add the Papad, mix well and turn off the gas. Garnish with green coriander leaves and serve hot with Roti or parantha. Recipe with curd gravy : In this recipe, you just need to replace onion and tomato with ¾ cup of whipped fresh curd. Mix all the spices and salt in ½ cup water and make a smooth paste. Heat oil in a non-stick pan, add cumin seeds, when they crackle, add Asafoetida and spices paste and cook stirring on low flame till the mixture leaves oil. Add 1 cup warm water and let it come to boil. Add Papad pieces mix well and turn off the gas. Add whipped curd and mix well. 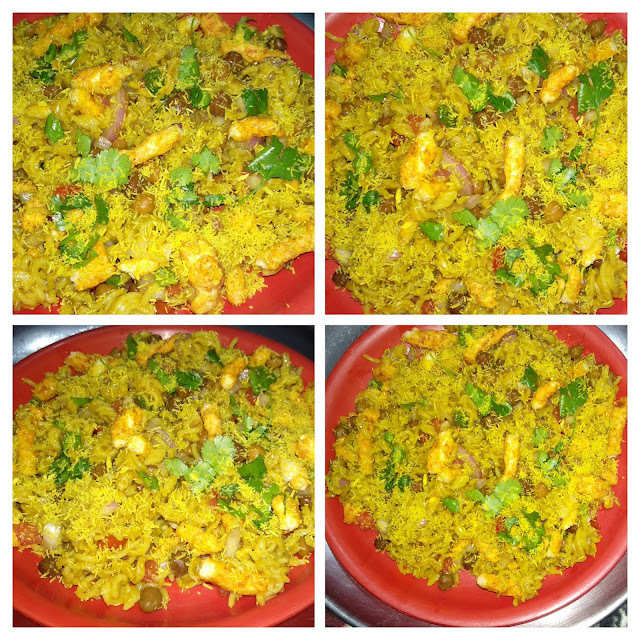 Garnish with green coriander leaves and serve immediately.